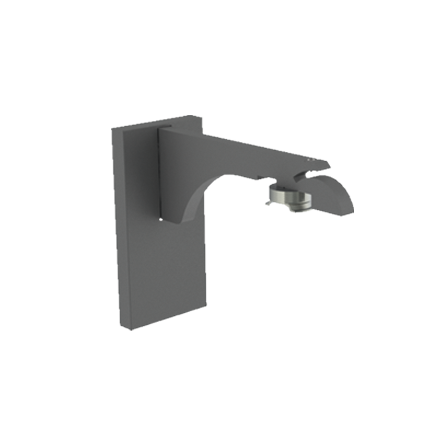 The ultra low profile design of these brackets maintains a sleek linear aesthetic. Side brackets have a structural role to play and as such have vertical back plates to give maximum support versus the sheer forces of heavy weight drapes. Back plates have multiple, slotted fixing points to simplify installation and clever magnetic cover plates give the design a pleasing and clean finish. The bracket secures to the top of the track through set screws.